Justice is the ideal, morally correct state of things and persons. The term comes from the Latin jus, meaning "right" or "law." The questions what justice is and how it can or might be achieved go back in philosophy to the ancient Greeks, especially Plato and Aristotle, who gave those questions a great deal of attention and thought. For many people justice is overwhelmingly important: "Justice is the first virtue of social institutions, as truth is of systems of thought." For many, it has not been achieved: "We do not live in a just world." This problem of uncertainty about fundamentals has inspired philosophical reflection about justice, as about other topics. What exactly justice is, and what it demands of individuals and societies, are among the oldest and most contested of philosophical questions. 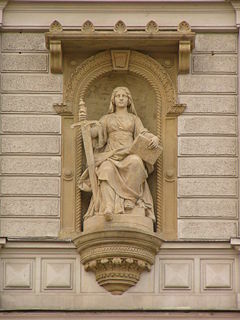 The question or problem of justice has numerous sub-questions or sub-branches, including, among others, legal justice; criminal justice and punishment (sometimes called retributive justice); economic justice (often called distributive justice); the just organization of states and governments; just relationships between people including spouses, parents and children, social hierarchies, and other social arrangements; international justice; and environmental justice. In the field of economic justice, for example, the question of the proper distribution of wealth in society has been fiercely debated for at least the last 2,500 years. Philosophers, political theorists, theologians, legal scholars and others have attempted to clarify the source, nature and demands of justice, with widely various results. Some may picture justice as a virtue — a property of people, and only derivatively of their actions and the institutions they create — or as a property of actions or institutions, and only derivatively of the people who bring them about. The source of justice may be thought to be harmony, divine command, natural law, or human creation, or it may be thought to be subordinate to a more central ethical standard. The demands of justice are pressing in two areas, distribution and retribution. Distributive justice may require equality, giving people what they deserve, maximizing benefit to the worst off, protecting whatever comes about in the right way, or maximizing total welfare. Retributive justice may require backward-looking retaliation, or forward-looking use of punishment for the sake of its consequences. Ideals of justice must be put into practice by institutions, which raise their own questions of legitimacy, procedure, codification and interpretation. Some philosophers have taken justice to be the whole of ethics. But most have taken ethical goodness or rightness to be a larger category, with justice being a subset. Justice is usually taken to involve at least four closely related ethical concepts: rights, fairness, equality, and desert or getting what one deserves. Each person, solely by virtue of being human, is entitled to certain rights, generally known as human rights or basic rights, and anything that takes away or infringes on those rights without sufficient reason for doing so is unjust—in the Declaration of Independence, Jefferson enumerated these basic rights as life, liberty, and the pursuit of happiness. John Locke had included property in that list, and the Bill of Rights of the U.S. Constitution—the first ten amendments to that Constitution—is a further specification of such basic human rights. Today the U.N. Commission on Human Rights, and the U.N. Declaration of Human Rights, attempt to specify and promote such human rights worldwide. Justice often means fairness, as in fair treatment of people, fair pay for work, fair compensation for injuries, fair treatment at law and in the courts and in governmental affairs, and so on. Just what fairness is may be difficult to specify, but it includes treatment of similar cases in a similar way, and treatment of different cases in ways that are proportional to the differences. Closely related to fairness is equality. Human beings should be treated equally unless some relevant difference between them is demonstrated. Moreover, a claim of injustice based on inequality of treatment puts the burden of justifying the inequality on whoever is carrying out or supporting the unequal treatment. This principle cannot however, be pushed to an extreme because most people recognize that no two people or cases are exactly the same, and some differences in treatment of people and cases is inevitable. Nevertheless, any egregious or obvious unequal treatment generally is regarded as unjust. Equality is closely related to the notion of desert, of each person getting what he or she deserves. Specifying what each person deserves is difficult and perhaps impossible, but any treatment that deviates in an obvious way from the principle of desert is unjust. We speak both of a just (or unjust) punishment, and of the just (or unjust) judge who imposed it. But which of these senses is more fundamental? Justice has been thought, primarily, the morally right assignment of good and bad things (including wealth, power, reward, respect and punishment); alternatively, it has been thought the virtue of a person who expresses or acts for that right assignment. Either actions are just because a just person does them, or a person is just because they do just things. The twentieth-century moral philosopher Elizabeth Anscombe influentially argued that modern philosophy had gone wrong in focusing on actions and their results over the character of actors. 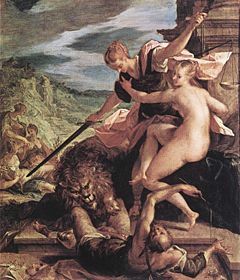 Thus she, along with others, inspired modern virtue ethics, which follows Aristotle in considering justice as one of the virtues of a good person, and only indirectly as a property of a state of affairs. It has already been noted that justice is distinguished from other ethical standards as required and as overwhelmingly important: Justice can be thought of as distinct from, and more important than, benevolence, charity, mercy, generosity or compassion. All of these things may be valuable, but they are generally understood as being supererogatory rather than required. We need to know more than this: we need to know what justice is, not merely what it is not, and several answers to that problem have been proposed. Justice is linked, both etymologically and conceptually, to the idea of justification: having and giving decisive reasons for one’s beliefs and actions. So, attempts to understand justice are typically attempts to discover the justification—the source or basis—of justice, and therefore to account for (or disprove) its overwhelming importance. In his dialogue Republic, Plato uses the character of Socrates to argue for a single account of justice which covers both the just person and the just city-state. Justice is a proper, harmonious relationship between the warring parts of the person or city. A person’s soul has three parts—reason, spirit and desire—and the just person is the one in whom reason commands the other two and each keeps to its task. Similarly, a city has three parts—lovers of wisdom, soldiers and workers—and the just city is the one in which the lovers of wisdom rule the other two, and in which everyone sticks to his or her own, appropriate tasks. Socrates uses the parable of the chariot to illustrate his point: a chariot works as a whole because the two horses’ power is directed by the charioteer. Lovers of wisdom—philosophers, in one sense of the term—should rule because only they understand what is good. If one is ill, one goes to a doctor rather than a quack, because the doctor is expert in the subject of health. Similarly, one should trust one’s city to an expert in the subject of the good, not to a mere politician who tries to gain power by giving people what they want, rather than what’s good for them. Socrates uses the parable of the ship to illustrate this point: the unjust city is like a ship in open ocean, crewed by a powerful but drunken captain (the common people), a group of untrustworthy advisors who try to manipulate the captain into giving them power over the ship’s course (the politicians), and a navigator (the philosopher) who is the only one who knows how to get the ship to port. For Socrates, the only way the ship will reach its destination—the good—is if the navigator takes charge. 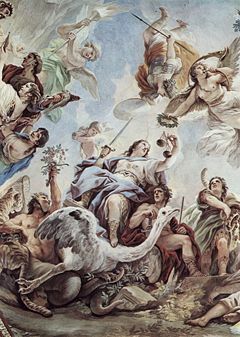 Advocates of divine command theory argue that justice, and indeed the whole of morality, is the authoritative command of a deity or deities, for instance, the Christian or Jewish or Islamic God. Murder is wrong and must be punished, for instance, because, and only because, God commands that it be so. A common response to Divine Command Theory is the Euthyphro dilemma, which asks: is what is right right because it is commanded by God, or does God command what is in fact morally right? If the former, then justice is arbitrary; if the latter, then morality exists on a higher order than God, and God's commands and will are subject to a higher authority and may be wrong or even evil. Divine command advocates have the option of responding by claiming that the dilemma is false: goodness is the very nature of God and is necessarily expressed in his commands. But critics of divine command theory reply in ways that seem to be devastating to divine command theory: this claim that "goodness is the very nature of God" cannot be established by fiat or by definition; moreover one can always ask, "is God really good by his very nature?" and our ability to ask what is a non self-contradictory question shows that the claim embodied in the question is not necessarily true. Moreover, there are numerous competing claims about what God commands or requires, thus resorting to divine command theory does not, in practice, aid us much in determining what is just or good. For advocates of the theory that justice is part of natural law, it involves the system of consequences which naturally derives from any action or choice. In this, it is similar to the laws of physics: in the same way as the Third of Newton's laws of Motion requires that for every action there must be an equal and opposite reaction, justice requires according individuals or groups what they actually deserve, merit, or are entitled to. Justice, on this account, is a universal and absolute concept: laws, principles, religions, etc., are merely attempts to codify that concept, sometimes with results that entirely contradict the true nature of justice. Natural law theory, however, crumbles on the observation that not just anything in nature results in a law for human action; some things occurring in nature cannot be good norms for humans, and some things that do not occur in nature seem to be perfectly acceptable human practices or activities. For example, some fish eat their young, poisonous snakes kill humans, and the strong prey on the weak. Moreover, no animals cook their food in stainless steel containers over electric coils. 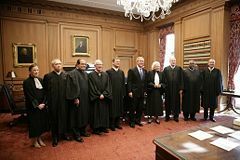 So some selection must be made about which natural "laws" or principles or activities are applicable as norms for human life and justice, and making that selection cannot be done just by appeal to natural law, so natural law by itself cannot establish norms for human justice or ethics. In contrast to the understandings canvassed so far, justice may be understood as a human creation, rather than a discovery of harmony, divine command, or natural law. This claim can be understood in a number of ways, with the fundamental division being between those who argue that justice is the creation of some humans, and those who argue that it is the creation of all humans. According to thinkers including Thomas Hobbes, justice is created by public, enforceable, authoritative rules, and injustice is whatever those rules forbid, regardless of their relation to morality. Justice is created, not merely described or approximated, by the command of an absolute sovereign power. This position has some similarities with divine command theory (see above), with the difference that the state (or other authority) replaces God. But this theory cannot be correct because we know of many historical examples of states and sovereign powers establishing laws or commands that were manifestly unjust. According to thinkers in the social contract tradition, justice is derived from the mutual agreement of everyone concerned; or, in many versions, from what they would agree to under hypothetical conditions including equality and absence of bias. This view is considered further below, under ‘Justice as fairness’. According to utilitarian thinkers including John Stuart Mill, justice is not as fundamental as we often think. Rather, it is derived from the more basic standard of rightness, which is consequentialism: what is right is what has the best consequences (usually measured by the total or average welfare caused). So, the proper principles of justice are those which tend to have the best consequences. These rules may turn out to be familiar ones such as keeping contracts; but equally, they may not, depending on the facts about real consequences. Either way, what is important is those consequences, and justice is important, if at all, only as derived from that fundamental standard. Mill tries to explain our mistaken belief that justice is overwhelmingly important by arguing that it derives from two natural human tendencies: our desire to retaliate against those who hurt us, and our ability to put ourselves imaginatively in another’s place. So, when we see someone harmed, we project ourselves into his situation and feel a desire to retaliate on his behalf. If this process is the source of our feelings about justice, that ought to undermine our confidence in them. "One common false conclusion is that because someone is truthful and upright toward us he is speaking the truth. Thus the child believes his parents` judgments, the Christian believes the claims of the church`s founders. Likewise, people do not want to admit that all those things which men have defended with the sacrifice of their lives and happiness in earlier centuries were nothing but errors. Perhaps one calls them levels of truth. Basically, however, one thinks that if someone honestly believed in something and fought for his belief and died it would be too unfair if he had actually been inspired by a mere error. Such an occurrence seems to contradict eternal justice. Therefore the hearts of sensitive men always decree in opposition to their heads that there must be a necessary connection between moral actions and intellectual insights. Unfortunately, it is otherwise, for there is no eternal justice." Distributive justice is concerned with the proper or right or fair distribution of both the rewards and the costs—wealth, power, reward, respect, taxes, the costs of an enterprise—between different people or groups (if groups are being considered). What goods are to be distributed? Is it to be wealth, power, respect, or something else, some combination of these things? Are the costs of whatever is under consideration also to be distributed? Between what entities are they to be distributed? Humans, sentient beings, the members of a single society, nations? Should non-human animals too be considered as having rights and as subjects of just or unjust treatment? If so, which ones, and under what circumstances? What is the proper distribution? Equal, meritocratic, according to social status, according to need, or some other principle? 1. To each an equal share. Each person should receive an equal amount of the rewards, or be assigned an equal amount of the costs, of an enterprise. Thus each person would get or be assessed the same amount, regardless of that person's work, responsibility, or contribution. 2. To each according to individual need. Thus whoever was allocating pay or other benefits would ascertain the needs of every participant, considering such things as family size, indebtedness, need for school tuition, medical situation, etc. and then give out pay or rewards according to need. 3. To each according to individual effort. By this principle employees or participants in an enterprise would be rewarded according to the effort they put into the enterprise. This takes no account of result, so a person producing an excellent result with little effort would receive less than the person producing a poor result who have nevertheless put a great deal of effort into it. 4. To each according to social contribution. This principle would allocate pay or other rewards according to the degree to which the given individual aids the welfare of society. 5. Winner take all. By this principle, one person (or group) would be declared the winner of a contest, election, or whatever, and would receive all the benefits, with none going to other participants. 6. To each according to merit. According to this principle, people or groups would be paid, rewarded, hired or fired, promoted, or otherwise dealt with according to their merit. Note, however, that merit means different things to different people. In an egalitarian context it means the individual and his/her merit and achievement. In a hierarchical or royalist or class system, however, merit is determined by position in the hierarchy or royal order or class. We should note that present-day business organizations are usually hierarchical in organization, with those higher in the hierarchy receiving more just by virtue of their position, regardless of their effort or result. According to the egalitarian, goods should be distributed equally. This basic view can be elaborated in many different ways, according to what goods are to be distributed, such as wealth, respect, or opportunity, and what they are to be distributed equally between—individuals, families, nations, races, species. Commonly-held egalitarian positions include demands for equality of opportunity and for equality of outcome. In one sense, all theories of distributive justice claim that everyone should get what he or she deserves. Where they diverge is in disagreeing about the basis of desert. The main distinction is between, on one hand, theories which argue that the basis of just desert is something held equally by everyone and therefore derive egalitarian accounts of distributive justice; and, on the other hand, theories which argue that the basis of just desert is unequally distributed on the basis of, for instance, hard work, and therefore derive accounts of distributive justice according to which some should have more than others. This section deals with some popular theories of the second type. According to meritocratic theories, goods, especially wealth and social status, should be distributed to match individual merit, which is usually understood as some combination of talent and hard work. According to needs-based theories, goods, especially such basic goods as food, shelter and medical care, should be distributed to meet individuals’ basic needs for them. Marxism can be regarded as a needs-based theory on some readings of Marx’s slogan, ‘From each according to his ability, to each according to his needs’. According to contribution-based theories, goods should be distributed to match an individual's contribution to the overall social good. b) attached to offices and positions open to all under conditions of fair equality of opportunity. This imagined choice justifies these principles as the principles of justice for us, because we would agree to them in a fair decision procedure. Rawls’s theory distinguishes two kinds of goods – (1) liberties and (2) social and economic goods, i.e. wealth, income and power – and applies different distributions to them – equality between citizens for (1), equality unless inequality improves the position of the worst off for (2). 2. Just transfer, that is free gift, sale or other agreement, but not theft. If the chain of events leading up to the person having something meets this criterion, then he or she is entitled to it; it is just that he or she possesses it, and what anyone else has, or does not have, or needs, is irrelevant. On the basis of this theory of distributive justice, Nozick argues that all attempts to redistribute goods according to an ideal pattern, without the consent of the owners of those goods, are theft. In particular, redistributive taxation is theft. According to the utilitarian, justice requires the maximization of the total or average welfare across all relevant individuals. This may require sacrifice of some for the good of others, so long as everyone’s good is taken impartially into account. Utilitarianism, in general, argues that the standard of justification for actions, institutions, or the whole world, is impartial welfare consequentialism, and only indirectly, if at all, to do with rights, property, need, or any other non-utilitarian criterion. These other criteria might be indirectly important, to the extent that human welfare involves them. But even then, such demands as human rights would only be elements in the calculation of overall welfare, not uncrossable barriers to action. Retributive justice is concerned with the proper response to wrongdoing. So, for instance, the lex talionis (law of retaliation) is a theory of retributive justice which says that the proper punishment is equal to the wrong suffered: "life for life, eye for eye, tooth for tooth, hand for hand, foot for foot, burning for burning, wound for wound, stripe for stripe." Deterrence. The credible threat of punishment might lead people to make different choices; well-designed threats might lead people to make choices which maximize welfare. Rehabilitation. Punishment might make bad people into better ones. For the utilitarian, all that ‘bad person’ can mean is ‘person who’s likely to cause bad things (like suffering)’. So, utilitarianism could recommend punishment which changes someone such that he or she is less likely to cause bad things. Security. Perhaps there are people who are irredeemable causers of bad things. If so, imprisoning them might maximize welfare by limiting their opportunities to cause harm. So, the reason for punishment is the maximization of welfare, and punishment should be of whomever, and of whatever form and severity, are needed to meet that goal. Worryingly, this may sometimes justify punishing the innocent, or inflicting disproportionately severe punishments, when that will have the best consequences overall (perhaps executing a few suspected shoplifters live on television would be an effective deterrent to shoplifting, for instance). It also suggests that punishment might turn out never to be right, depending on the facts about what actual consequences it has. The retributivist will think the utilitarian’s argument disastrously mistaken. If someone does something wrong, we must respond to it, and to him or her, as an individual, not as a part of a calculation of overall welfare. To do otherwise is to disrespect him or her as an individual human being. If the crime had victims, it is to disrespect them, too. Wrongdoing must be balanced or made good in some way, and so the criminal deserves to be punished. Retributivism emphasises retribution – payback – rather than maximization of welfare. Like the theory of distributive justice as giving everyone what she deserves (see above), it links justice with desert. It says that all guilty people, and only guilty people, deserve appropriate punishment. This matches some strong intuitions about just punishment: that it should be proportional to the crime, and that it should be of only and all of the guilty. However, it is sometimes argued that retributivism is merely revenge in disguise. In an imperfect world, institutions are required to instantiate ideals of justice, however imperfectly. These institutions may be justified by their approximate instantiation of justice, or they may be deeply unjust when compared with ideal standards — consider the institution of slavery. Justice is an ideal which the world fails to live up to, sometimes despite good intentions, sometimes disastrously. The question of institutive justice raises issues of legitimacy, procedure, codification and interpretation, which are considered by legal theorists and by philosophers of law. ↑ Thomas Nagel, "The Problem of Global Justice." Philosophy and Public Affairs 33 (2005): 113-147. 113. ↑ Brian Barry. Theories of Justice. (Berkeley: University of California Press, 1989), xiii. ↑ Elizabeth Anscombe, "Modern Moral Philosophy." Philosophy 33(1958): 1-19. See further Alasdair MacIntyre. After Virtue, 2nd ed. (London: Duckworth, 1985); Onora O'Neill. Towards Justice and Virtue. (Cambridge: Cambridge Univ. Press, 1996), chapter 1. ↑ Plato, Republic, trans. Robin Waterfield (Oxford: Oxford University Press, 1984). ↑ John Stuart Mill, "Utilitarianism" in On Liberty and Other Essays, ed. John Gray (Oxford: OUP, 1991), Chapter 5. ↑ Karl Marx, "Critique of the Gotha Program" in Karl Marx: Selected writings, ed. David McLellan (Oxford: OUP, 1977): 564-570, 569. ↑ John Rawls, A Theory of Justice, revised ed. (Oxford: OUP, 1999), 266. ↑ Exodus 21.xxiii-xxv. Retrieved October 21, 2007. ↑ C. L. Ten, "Crime and Punishment" in Peter Singer ed., A Companion to Ethics. (Oxford: Blackwell, 1993): 366-372. ↑ Ted Honderich. Punishment: The supposed justifications. (London: Hutchinson & Co., 1969), Chapter 1. MacIntyre, Alasdair. 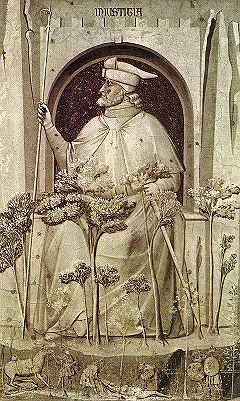 After Virtue, 2nd ed. London: Duckworth, 1985. O'Neill, Onora. Towards Justice and Virtue. Cambridge: Cambridge Univ. Press, 1996. This page was last modified on 15 June 2018, at 16:12.